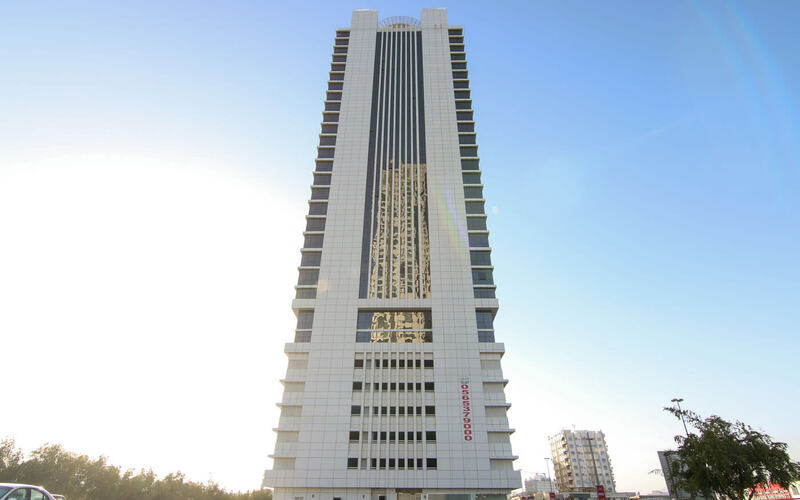 Fujairah Tower is located opposite Al Jaber Tower on Sheikh Hamad Bin Abdulla main road in downtown Fujairah. Situated in the centre of all government related offices, the tower is also conveniently located close to the corniche. Type : Mixed use containing residential, commercial and office space. Unit mix : Residential units range in size from 882 to 1,410 sq. ft.
Facilities & Amenities : Fujairah Tower offers residents modern leisure facilities including a rooftop swimming pool, separate male and female gymnasiums and changing facilities, sauna, Jacuzzi and health club. The project also benefits from dedicated covered parking.